Chair, Baystate Health Board of Trustees. 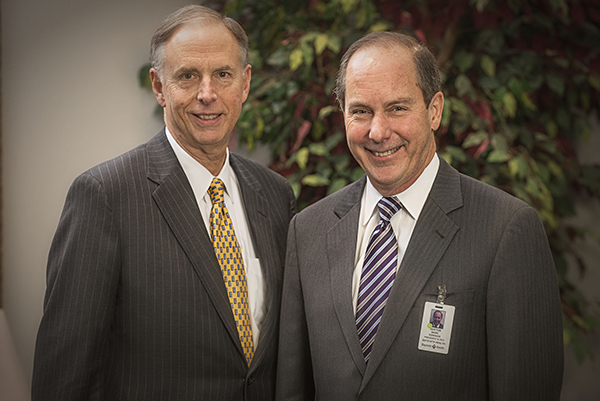 At Baystate Health, we are known across the nation for our excellence in quality and safety. This year, we are adding as a top priority a focus on patient-centered care: improving the overall experience and user friendliness of our system. We are making improvements every day to ensure patients and families have a total experience designed with their needs in mind. Committed to providing the best care possible, our employees developed the phrase “Together we deliver a higher state of caring.” It’s a reflection of who we are and what we aspire to as an organization. Click here to watch a video about an employee who brings this sentiment to life. Dozens of projects designed to emphasize the human side of our mission have taken shape in the past year, including improvements in bedside response times, hourly rounding, care coordination, discharge education and provider identification. Patient centeredness will join quality and safety at the center of Baystate’s strategy in the coming years, and we encourage all of you to tell us how we are doing in our journey. Baystate Health continues to grow and in September of 2014, we welcomed Baystate Wing Hospital (formerly Wing Memorial Hospital and Medical Centers) to the health system. 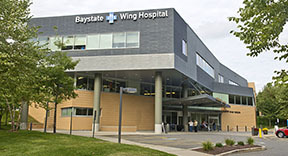 Based in Palmer, Massachusetts, Baystate Wing Hospital is the third community hospital to join Baystate Health. 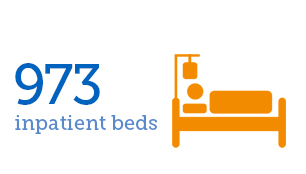 Our community hospitals enable us to provide outstanding, high-value care for thousands of patients and their families close to where they live. Facility improvements are underway at other Baystate Health facilities. In 2014, construction began to build out 90,000 square feet of shell space to replace patient rooms at Baystate Medical Center in Springfield, Massachusetts. In addition, a new surgical center with four new operating rooms and space for physician offices is being constructed at Baystate Franklin Medical Center in Greenfield, Massachusetts. Baystate Health’s tradition of raising the bar for health care quality and innovation continued in 2014 as our physicians, nurses and other employees garnered awards and top rankings from The Joint Commission, Truven Health Analytics and U.S. News & World Report. Visit our awards section and highlights section to view more about our awards in 2014. So many of the innovations we’ve incorporated into the health care experience have been inspired by our community, including patients and their families, advisory board members, donors and our employees. We thank you for being devoted partners and providing important feedback. As the region’s largest private employer, Baystate Health provides a livelihood to more than 11,500 employees and their families, and supports hundreds of area businesses. 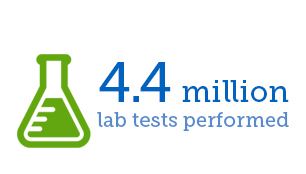 In 2014, our health system finances were on budget with a 3.1% ($57.3 million) operating margin that is reinvested into programs, facilities and technology. You can learn more in the financials section of this report. As a not-for-profit health system, we are passionate about living our charitable mission to improve the health of the people in our communities every day, with quality and compassion. Our commitment to caring for the uninsured and underinsured means we often absorb the cost of that care. Baystate Health is one of the largest Medicaid providers in the state, despite reimbursement rates which are well below cost. 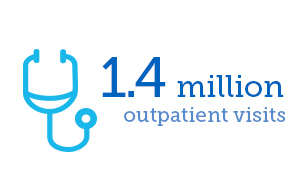 In 2014, we provided unreimbursed care to our patients at a cost of more than $112 million. Driven by our charitable mission and a desire to continuously improve, we contemplate a bright future of growth, innovation and dedication to patient-centered care. 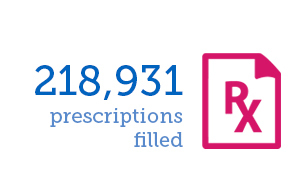 Thank you for your interest in and support of Baystate Health.